Amazon Web Services received a Future Best of Show Award, presented at the 2019 NAB Show by TV Technology magazine. The company was recognized for its live video transport service, AWS Elemental MediaConnect. AWS Elemental was awarded two Future Best of Show Awards, presented at the 2019 NAB Show by Video Edge magazine, for AWS Elemental MediaConnect and the Secure Packager and Encoder Key Exchange (SPEKE). AWS Elemental was shortlisted for the 2019 Broadcast and Media (BaM) Awards presented at NAB Show. The company was recognized in the Publish category for the Secure Packager and Encoder Key Exchange (SPEKE), an open API specification that helps streamline the way Digital Rights Management (DRM) systems integrate with encryptors. AWS Elemental was selected as a 2018 Streaming Media Readers' Choice Award winner in the Cloud Encoding/Transcoding Service category for AWS Elemental MediaConvert. The company was also recognized as a finalist in the Encoding Software and Server-Side Ad Insertion Solution categories for AWS Elemental Live and AWS Elemental MediaTailor, respectively. AWS Elemental was shortlisted for the 2018 Broadcast and Media (BaM) Awards presented at IBC. The company was recognized in the Manage category for AWS Media Services. Sky News was named a 2018 Content Innovation Award winner in the Live Streaming Initiative of the Year category for the delivery of machine learning-enriched live coverage of the Royal Wedding on May 19, 2018. The workflow was supported by AWS Elemental video processing and Amazon Rekognition machine learning. AWS Elemental was selected as a 2018 CSI Award winner in the best cloud or virtualisation innovation category for AWS Media Services. Sky News was recognized as highly commended in the best use of AI or machine learning in video category for its Royal Wedding ‘Who’s Who Live’ application, supported by AWS Media Services and machine learning tools. AWS Elemental received a NewBay Media Best of Show Award for Booth Design at the 2018 NAB Show. AWS Elemental was awarded a NewBay Media Best of Show Award, presented at the 2018 NAB Show by Video Edge magazine, for its Quality-defined Variable Bitrate (QVBR) solution. AWS Elemental was selected as a winner of a 2018 Best of NAB Award from Streaming Media. AWS Elemental was recognized for its Common Media Application Format (CMAF) solution for on-premises and cloud-based video processing and delivery. AWS Elemental received a NewBay Media Best of Show Award, presented at the 2018 NAB Show by TV Technology magazine. AWS Elemental was recognized for AWS Media Services, a family of five cloud-based video services. Each year, the Portland Business Journal honors Oregon's most admired companies. In 2017, AWS Elemental was recognized at #3 in the Technology category and #5 across all industries. The Hollywood Professional Association honored AWS Elemental, Amazon Web Services and NASA with the Judges Award for Creativity and Innovation for the first public live 4K stream from the International Space Station. AWS Elemental was named the winner of the 2017 Streaming Media Readers' Choice Awards in the Stream Stitching/Server-Side Ad Insertion Solution category for AWS Elemental Delta. The Oregon Entrepreneurs Network recognized AWS Elemental Co-founder Sam Blackman with the 2017 Lifetime Achievement Award, honoring his career of entrepreneurial achievement, as well as civic engagement and community investment. BT Sport was an 2017 IBC Innovation Award winner in the Content Everywhere category. AWS Elemental was recognized as a technical partner in the company's delivery of the 2017 UEFA Champions League final. AWS Elemental received a NewBay Media Best of Show Award, presented at the 2017 NAB Show by Video Edge magazine. AWS Elemental was recognized for the 4K video processing and delivery services used to power NASA's first-ever 4K live stream from space. Each year, the Portland Business Journal honors Oregon's most admired companies. In 2016, Elemental was recognized at #4 in the Technology category and #9 across all industries. Elemental was selected as a finalist in three categories: the Cloud Encoding/Transcoding Service category for Elemental Cloud, the Encoding Software category for Elemental Live, and the Stream Stitching/Server-Side Ad Insertion Solution category for Elemental Delta. Elemental was among the companies included in Streaming Media's list of 100 companies that matter most in online video for the sixth consecutive year. Elemental was a finalist in two categories at the 2016 TVB Awards: the Achievement in Image Capture category for HDR video processing and the Multiplatform Production and Delivery category for SDI over IP transport. BT Sport was an 2016 IBC Innovation Award winner in the Content Delivery category. Elemental was recognized as a technical partner in the company's implementation of BT Sport Ultra HD. Elemental received a NewBay Media Best of Show Award, presented at IBC 2016 by TVB Europe. Elemental was recognized for HDR video processing. Elemental was named the winner of the 2016 IABM Design & Innovation Awards in the Playout & Delivery category for its live channel playout solution. Elemental CEO Sam Blackman was named the winner of the EY Entrepreneur of the Year 2016 award in the Pacific Northwest region in the technology category. Elemental CFO John Ewert was selected as a finalist for the CFO of the Year Award by the Portland Business Journal in the large company category. Elemental and Amazon were selected as GeekWire Award finalists in the Deal of the Year category. The companies were nominated for Amazon Web Services' acquisition of Elemental in October, 2015. Elemental received a NewBay Media Best of Show Award, presented at NAB 2016 by Video Edge magazine. Elemental was recognized for its live channel playout solution. In April 2016, ABI Research scored Elemental as a top competitor in the video delivery market and recognized the company for best video encoding implementation. The Portland Business Journal recognized Elemental CEO Sam Blackman as one of the 2015 Executives of the Year. In 2014, Elemental was among the companies included in the Streaming Media Europe 101, companies playing prominent roles in the online video market. Each year, the Portland Business Journal honors Oregon's most admired companies. In 2015, Elemental was recognized at #3 in the Technology category and #7 in the Across All Industries category. Elemental was named the winner in the Cloud Encoding/Transcoding Service category in the Streaming Media Readers' Choice Awards. Elemental was named the winner at the TVB Awards in the multiplatform production and delivery category. Elemental Delta was recognized as an outstanding platform for multiscreen video delivery. For the fifth consecutive year, Elemental was among the companies included in Streaming Media's list of 100 companies that matter most in online video. Elemental was a finalist in the industry innovator of the year category of the Digital TV Europe Content Innovation Awards. Winners were announced on October 4 in Cannes. Elemental is named a finalist in the Broadband World Forum Awards in the best virtualization solution category. Winners will be announced on 21 October in ExCeL, London. Elemental was included in the prestigious Inc. 500/5000 list. The magazine annually recognizes the fastest growing private companies in America and in 2015, Elemental ranked at #1118, with nearly 400% growth. Elemental was named a finalist at the IABM Design & Innovation Awards in the Playout & Delivery category for its advancements in unified linear TV delivery. Elemental was named a finalist by Cable & Satellite International in the best digital video processing technology category. Award winners were announced at IBC 2015. 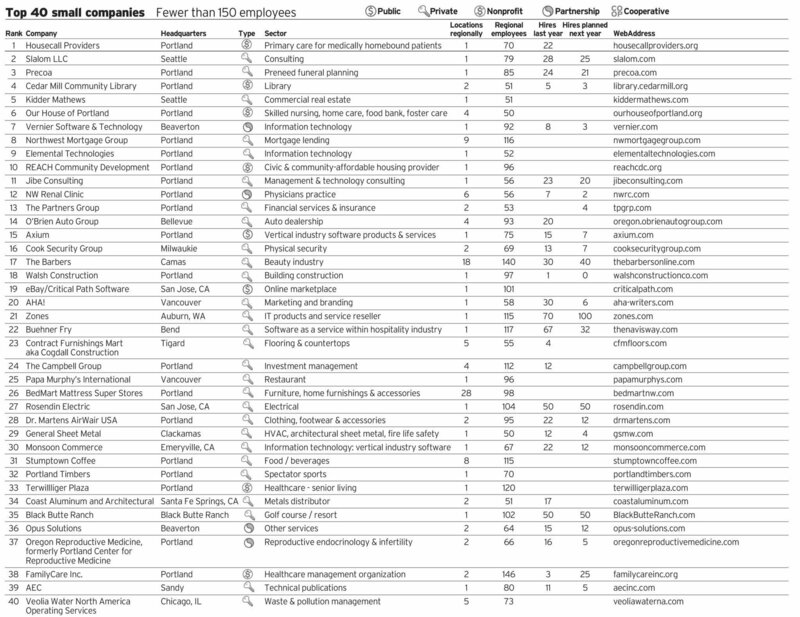 Elemental ranks at number 45 on the list of 100 fastest-growing private companies in the Portland, Oregon region. Elemental was named one of three semifinalists for an SCTE Technological Innovation Award in the category of Best Digital Processing Solution. Elemental was shortlisted in two categories for the TV Connect Industry Awards: Best Cloud or CDN Service Delivery and Best Multiscreen TV Solution category. Elemental received a NewBay Media Best of Show Award, presented at NAB 2015 by TV Technology magazine. Elemental was recognized for advancements in unified linear TV delivery. Elemental received a NewBay Media Best of Show Award, presented at NAB 2015 by Video Edge magazine. Elemental Delta was recognized as an outstanding platform for multiscreen video delivery. Elemental was named the winner of the 2015 IABM Game Changer Awards in the Playout and Delivery Systems category at NAB 2015. Elemental was recognized for outstanding achievement in linear video delivery. Elemental was shortlisted in three categories for the Digital Studio Awards: Content Delivery Platform of the Year, Outstanding Achievement in Workflow, and Innovative Use of 4K. Elemental was named among the 2015 100 Best Companies to Work For in Oregon as determined by Oregon Business magazine. The Technology Association of Oregon selected Elemental CEO Sam Blackman as the 2015 Technology Executive of the Year. Elemental Delta was named a winner in NewBay Media’s second annual Product Innovation Awards. Winners were announced online on December 22. Frost & Sullivan recognized Elemental with a Technology Leadership Award in the Global Video Encoding and Transcoding Market. Elemental was honored at the IABM Annual International Business Conference with the Excellence in Sustainability Award. Winners were recognized on December 4 in London. Each year, the Portland Business Journal honors Oregon's most admired companies. In 2014, Elemental was recognized at #5 in the Technology category. Elemental was named a finalist in the Hardware (On-Demand) Encoder category in the Streaming Media Readers' Choice Awards. Elemental came up the winner in the Achievement in Fast Turnaround Broadcast category at the inaugural TVB Awards. Elemental was recognized for its work with BBC to deliver live 4K streaming of the 2014 World Cup. Elemental was named the winner at the 2014 Oregon Entrepreneurs Network Tom Holce Entrepreneurship Awards in the Growth Stage Company of the Year category. For the fourth year running, Elemental was among the companies included in Streaming Media's list of 100 companies that matter most in online video. Elemental was named a Multichannel News Innovator Award winner at the SCTE Cable-Tec Expo for its leadership in forwarding the HEVC standard and the rollout of Ultra HD in cooperation with other suppliers in the 4K TV ecosystem. Elemental was recognized as a technology enabler at the IBC 2014 Innovation Awards to winner Turner Sports and finalist BBC as well as to the Vienna State Opera, which was honored with a special award. Elemental Delta was named the winner in the 2014 IABM Design & Innovation Awards Playout & Delivery Systems category. Finalists and winners were honored on September 13 at IBC. For the third year in a row, Elemental was included in the prestigious Inc. 500/5000 list. The magazine annually recognizes the fastest growing private companies in America and this year, Elemental ranks at #538, with more than 900% growth. Elemental ranks at number 15 on the Portland Business Journal's 2014 list of the 100 fastest-growing private companies in the Portland region. Elemental was named the winner in the Cloud Video Service category at the European Streaming Media Readers' Choice Awards. Elemental received a commendation at the 2014 Videonet Connected TV Awards in the Multiscreen Goes Mainstream category. Elemental was named the multiscreen encoding leader in a competitive assessment conducted by ABI Research in April 2014. Elemental was the recipient of NewBay Media's Best of Show Award, presented at the 2014 NAB Show in Las Vegas by TV Technology magazine. Elemental was recognized for its excellence in real-time 4K HEVC video processing. Elemental was the recipient of NewBay Media's Best of Show Award, presented at the 2014 NAB Show in Las Vegas by Video Edge magazine. Elemental was recognized for advancements to its Elemental Cloud platform. Elemental came up the winner at the Digital Studio Awards in the Technology Implementation category. The winners were announced during a gala event at CABSAT in Dubai on March 12. Elemental was named among the 2014 100 Best Companies to Work For in Oregon as determined by Oregon Business magazine. The TV Connect Awards celebrate excellence, innovation, and achievement in the global IP, TV and connected entertainment markets. Elemental was shortlisted in the Best Multiscreen Solution category. SNL Kagan named Elemental a leader in the multiformat and over-the-top (OTT) video processing market in research released from the firm December 2013. Elemental was included in the prestigious Inc. 500/5000 list, which annually recognizes the fastest growing private companies in America. In 2013, Elemental ranked at #615. In 2013, Elemental was among the companies included in the Streaming Media Europe 101, companies playing prominent roles in the online video market. Elemental was named the winner of three Streaming Media Readers' Choice Awards in 2013: Encoding Software, Hardware Encoder (On-Demand) and MPEG-DASH Product. Elemental ranked 26 on the 2013 Deloitte Technology Fast 500 list. Elemental was the most highly ranked company in Oregon on this year’s list and the ninth most highly ranked software company. In 2013, Elemental was among the companies included in Streaming Media's list of 100 companies that matter most in online video. Elemental was named a finalist in Light Reading’s Leading Lights Awards in the Best New Product (Cable) category. Elemental was named the winner of the Best Delivery Technology award by ConnectedWorld.TV at IBC2013. Elemental was named the winner by Cable & Satellite International in the digital video processing technology category. With exceptional growth over the last three years, Elemental ranked at number six on the Portland Business Journal's 2013 list of the 100 fastest-growing private companies in the Portland region. Elemental CEO and Co-founder Sam Blackman was honored in 2013 by Ernst & Young as an Entrepreneur of the Year finalist in the Pacific Northwest. Elemental CEO and Co-founder Sam Blackman was honored by GeekWire as Startup CEO of the Year. Elemental was honored as the 2013 Technology Growth Company of the Year by the Technology Association of Oregon (TAO). Sam Blackman, CEO and co-founder of Elemental, was one of ten executives named as a 2013 Streaming Media All-Star. Sam Blackman, Elemental CEO and co-founder, was named to the list of executives to receive this honor in 2013. Elemental was one of three semifinalists for an SCTE Technological Innovation Award in the category of Best Digital Processing Solution. Elemental was named among the 2013 100 Best Companies to Work For in Oregon as determined by Oregon Business magazine. Elemental CTO and co-founder Jesse Rosenzweig joined a handful of Pacific Northwest executives to receive this distinguished award. Elemental continues to climb the Forbes’ list of America’s Most Promising Companies and jumped up 30+ places from #54 in 2012 to #23 in 2013. Sam Blackman, Elemental CEO and co-founder, was named CEO of the Year in the Technology category. In 2012, Elemental was among the companies included in Streaming Media's list of 100 companies that matter most in online video. Elemental landed at number nine in The Oregonian's ranking of the best workplaces in Oregon and southwest Washington. Elemental Live was named a finalist in the 2012 Communications Technology Platinum Awards 'Multiscreen Video Solution or Deployment' category. In 2012, Elemental secured the #1 spot in Oregon, the #2 position in the software segment nationally, and the #52 rank overall on this comprehensive and prestigious list. Elemental ranked at number seven on the Portland Business Journal's 2012 list of the 100 fastest-growing private companies in the Portland region. Nvidia named Elemental a company to watch at the 2012 GTC’s Emerging Companies Summit (ECS). Elemental Technologies was named among the 2012 list of the 100 Best Companies to Work For in Oregon as determined by Oregon Business magazine. In 2011, Elemental checked in at number 54 on Forbes' list of America’s Most Promising Companies. Elemental was the proud recipient of the 2011 Award for Innovation in Media Arts from the Oregon Governor's Office of Film and Television. Awarded 4 Diamonds, Elemental Live placed among the highest scoring products in the 2011 BTR Diamond Technology Reviews . In 2011, Elemental was among the companies that made the cut for inclusion in Streaming Media's 100 companies that matter most in online video. Elemental was a finalist in Light Reading’s Leading Lights Awards in the Best New Product (Cable) category. Elemental was honored at the 18th annual Tom Holce Entrepreneurship Awards ceremony in the Working Capital and Individual Achievement categories. Elemental was a winner in two categories for the 2011 Oregon TechAwards: Rising Star Company of the Year and Cool Product of the Year. As an Editors' Pick, Elemental Live was selected for its dense encoding capabilities and was featured alongside Adobe's Mercury Playback Engine, the Apple iPad and the Roku XDS. Elemental CEO and co-founder Sam Blackman joined a handful of Pacific Northwest executives to receive this distinguished Forty Under 40 Award. Elemental was named a finalist in the 17th annual Oregon Entrepreneurs Network Awards in the Working Capital category. At NAB 2010, Elemental Live took home a Mario Award presented by TV Technology magazine. Elemental was recognized at the 2009 Oregon Technology Awards, named one of three finalists for the Emerging Company of the Year. Learn what keeps Elemental ahead in our Award Finalist Video. Elemental won the OnMedia 100 Award 2009 for pushing the boundaries of innovation and creating revolutionary products in a challenging economic climate.